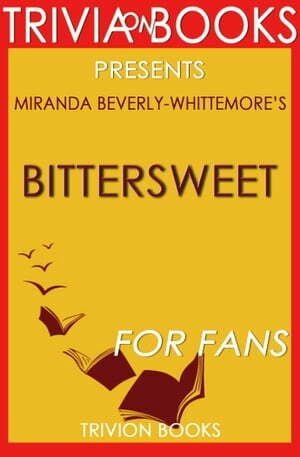 Collins Booksellers - Bittersweet: A Novel By Miranda Beverly-Whittemore (Trivia-On-Books) by Trivion Books, 1230001308952. Buy this book online. Take the challenge yourself and share it with friends and family for a time of fun! You may have read the book, but not have liked it. You may have liked the book, but not be a fan. You may call yourself a fan, but few truly are. Are you a fan? Trivia-on-Books is an independently curated trivia quiz on the book for readers, students, and fans alike. Whether you're looking for new materials to the book or would like to take the challenge yourself and share it with your friends and family for a time of fun, Trivia-on-Books provides a unique approach to Bittersweet by Miranda Beverly-Whittemore that is both insightful and educational! • Results provided with scores to determine "status"
Promising quality and value, come play your trivia of a favorite book!